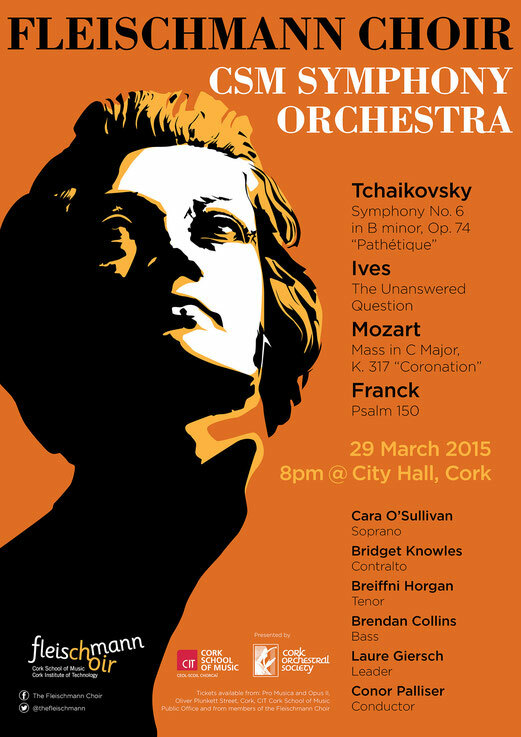 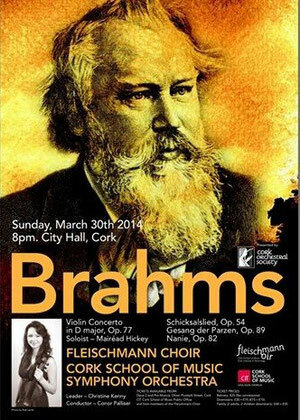 Continuing the theme, we performed a Brahms centric programme in the Cork City Hall in March 2014, including a magnificent performance of the Violin Concerto in D major by Mairead Hickey. 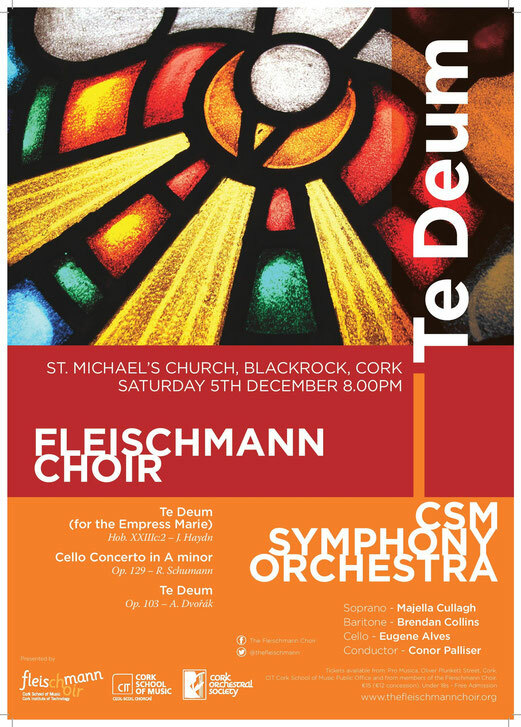 In October and November the choir completed a highly successful tour to Köln, Germany, where we collaborated with the Kölner Philharmonischer Chor directed by Horst Meinardus. 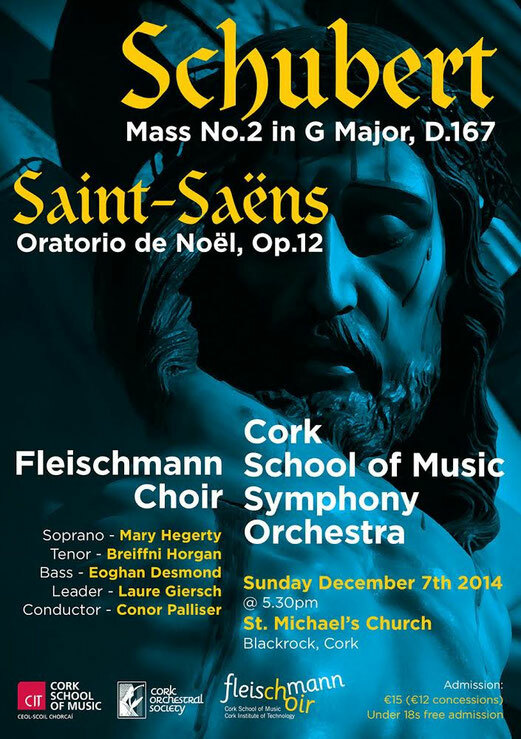 The performance was in the fabulous Kolner Philharmonie, right beside the stunning Köln cathedral. 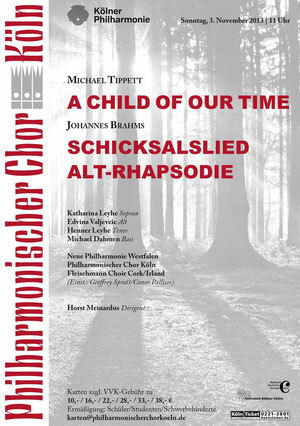 The main work was Tippet's A Child of Our Time, with two supporting works by Brahms.